Sportradar partners up with MGM and GVC Holdings! Since NJ overturned PASPA in May, we’ve seen several partnerships and deals take place. And one of those took place back in July. 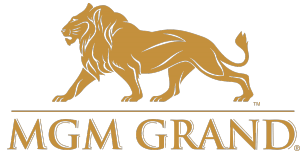 If you remember MGM Resorts & GVC Holdings signed a massive $200 Million deal that shook the industry. To refresh your memory, both companies established a 50/50 joint venture to develop a world-class sports betting platform in the US. Well, folks, they weren’t playing about that, they absolutely have that goal in mind. In fact, it’s quite apparent this new deal with Swiss-based Sportradar is a step in that direction! So with that said, let’s jump into the details of this new exclusive deal. As a result of that groundbreaking deal between these two operators, a new company called MGM GVC Interactive was born. Plus, as of late October, Adam Greenblatt was named the venture’s CEO. Since then, the company has been on the move to create the best gaming platform known to man. And, in order to do that, they needed to have industry-leading live sports data. So, this is where Sportradar comes in into play. They collect and analyze data from over 400,000 global sporting events a year! Not to mention, they also have partnerships with the NBA, NFL, FIFA, and NASCAR. So, they’re already well established in the US. Of course, when you’re aiming to be the best in the industry, you form partnerships with the best in the industry. So, it’s precisely what we see here. Stay tuned, as this venture continues to develop, the next exciting breakthrough could be right around the corner!